Search engine optimization is becoming such an important thing these days. Essentially a set of methods that allow a website to climb the rankings in specific keyword searches done in search engines, SEO helps in providing more visibility for a particular website. With better visibility, the website becomes accessed by more people, essentially enhancing the “online visibility” of the brand being carried by that particular website. One of the classic and most powerful ways to boost SEO rankings is with the use of link building. This article is a tutorial on how you can use link building techniques to increase your website’s SEO ranking. What Link Building is all About ? But before we talk about the techniques, we first have to know what link building is all about. This is defined as the process of acquiring links from other websites to your own website. As you probably already know, a link is a way for browsers to navigate between different pages. Almost all search engines use links to “crawl” the web, meaning the presence of such links raises the likelihood of a specific website to be visible to its target customers. It is why SEO specialists invest a lot of time and money in link building. While just about every specialist knows that link building is crucial to boost SEO, using this technique to one’s advantage can be difficult. In fact, most experts would agree that link building is one of the most difficult techniques to master. It takes time to create a great system based on link building, with the desired results only obtained after years of hard work. Still, if you do it right, link building presents a long-term solution for keeping your website at or near the top results of online searches. This is why a lot of SEO experts take time to master the art of link building. To better learn how to boost SEO using link building, it would be nice to take a closer look at how links are created. A hyperlink is defined as a link that takes the online surfer to another website. It can carry the name of the reference URL itself or it can be found inside an “anchor text.” The anchor text can be a single word or a phrase, most often directly related to the page’s content and the content of the link being referenced. Creating hyperlinks is so simple that even people with little technological knowhow can do it. Aside from its actual purpose of guiding internet users from one web page to another, a hyperlink is also being utilized by search engines in a variety of ways. The presence of links and how they are presented is used by search engines both to discover new pages and to rank them in online searches. Search engines use crawlers to extract the content of each web page and determine if the content’s quality is enough to qualify the page itself being included in top search results for particular keywords. Aside from the content, another determining factor for site ranking is the number of links pointing to that page. This is where good link building comes into the picture. The necessity of link building to boost SEO has been a known commodity even at the very beginning of this industry. In fact, this was one of the secrets behind Google’s rise in the search engine industry. With the PageRank system, they made the number of links pointing to a particular page one of the criteria of ranking web pages. The logic here is that such links will not exist for good reason, acting like a virtual “vote of confidence” about a particular page. The PageRank system has been continuously improved over the years, and such refinements further influenced how results are yielded. Just like in any other good thing, there came a point when the power of links for boosting search rankings was abused. SEO specialists found ways to abuse PageRank and gain higher rankings. Also, there are some link building techniques that are considered to be unethical. Nowadays, Google is actively penalizing websites who use unethical link building techniques to “over-optimize” their websites, with penalties coming in the form of lower rankings for specific keyword searches. This is why all link builders should stay updated with Google’s guidelines and strictly follow them. So now, it is time to learn about some basic link building strategies to boost SEO. A link building campaign is defined as a set of methods aimed to increase the number of links being traced to your website. To implement such strategies, you’ll be making use of all kinds of resources ranging from site content to services. Proper structuring of a link building strategy is essential for both maximum effectiveness and avoiding any potential penalties. Each link builder has different goals. Knowing what these goals are will help you create a strategy that is specific to what you want to accomplish. Make sure that your goals for your campaign are directly linked to what your goals are for your business/website. Beyond creating links, it should have an actual effect on your bottom line (i.e. getting more exposure, acquiring new clients, or gaining more sales). You need to create assets within your sites. Think of it this way: you need to give site owners a good reason why they should give links to you. Among the assets you would need to create a successful link building campaign are products, services, content, and data. You need to have something to offer for visitors, and they all should be relevant to your goals. 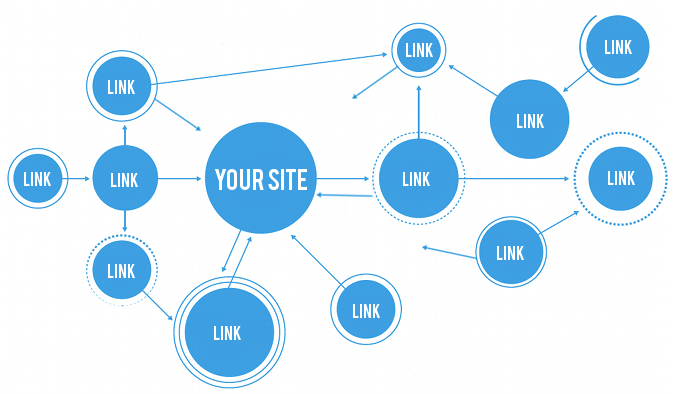 You will need different kinds of links to pull off a successful link building strategy. Among the most basic links you should create are your home page, links containing your brand, links containing your target keywords, and links directed towards specific subpages or categories within your website. Knowing your target audience goes a long way towards creating an effective link building strategy. When you know what your target audience is, you create content that actually satisfies their needs. At the same time, it will help guide you in finding potential targets with which to build links. By identifying your target audience, you’ll have a better chance of reaching out to the people who matter. There are different ways to locate people or websites you would want to work with for links. First, you can make a quick search over the internet. From there, you can find websites that cover your target niche. From blogs to Twitter accounts, you can find accounts that will help you reach your bottom line. Aside from search engines, there are programs that will help you locate such accounts. Once you come across people you can work with for links, it is now time to actually reach out to them. It’s best to prioritize your biggest targets as you can massively benefit from them should they respond well. Still, don’t ignore your other targets, as having more links translates to a better authority rating. To reach out, it’s best to be as genuine as possible. Also, tell them why they should care. You can use this Email Privacy tool to find the administrator email for each domain and website so you can contact them foe backlink request. Now that you have built a strategy for link building, what should you do next? 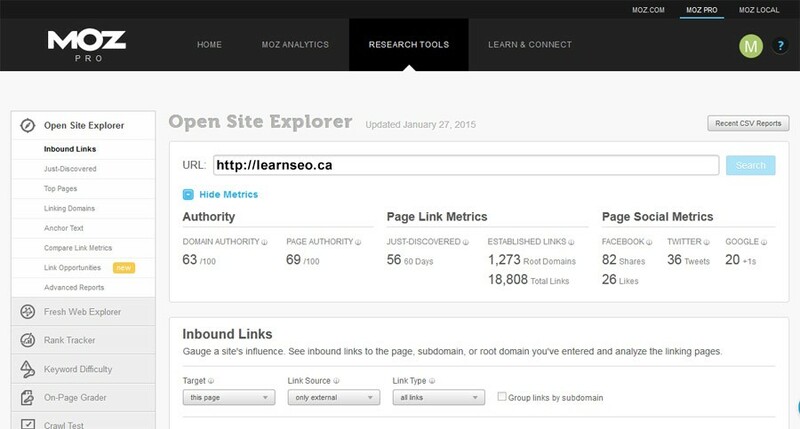 There are different approaches you can use to build links and boost SEO. The most common (and by far the most effective) way of doing this is creating relevant content. It can be in the form of an article, a photo, a video, or an infographic. Creating good content is simple; it should be relevant, interesting, and well-made. You can also make the content as interactive as possible. If your content is able to get people talking, that means you’ve done a great job. You can also use alternative approaches such as guest blogging and ego baiting. Some even make use of social media to get a little boost in links! If you want to boost SEO results, the best way to do it is to go for good link building techniques. Our final advice for anyone who wants to try it out is that you should never stop learning about it. Start with the basics and then move on to advanced techniques as you get the hang of it. It may take time for you to achieve considerable results, but a successful link building strategy will set you up for long-term success. When combined with other proven SEO practices, link building will help you get the results you want and need in no time.